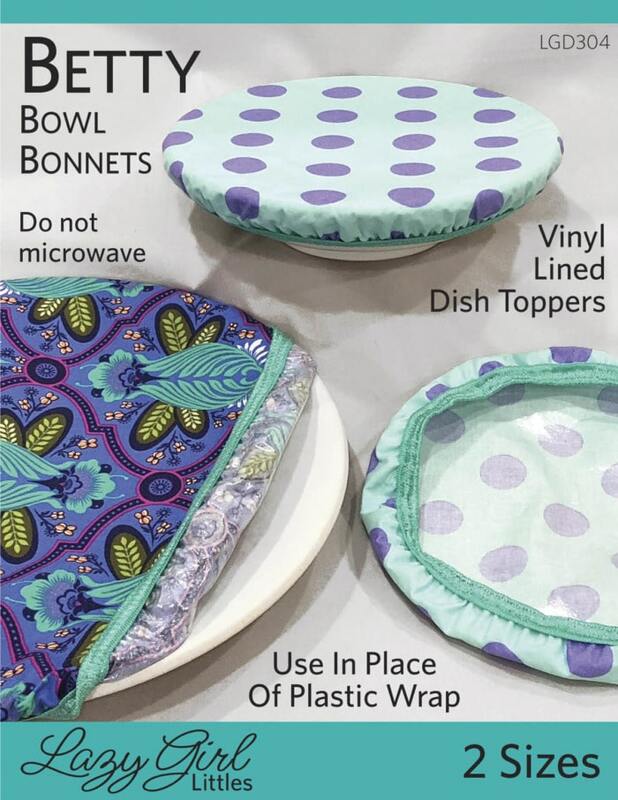 Make gorgeous bonnets to use in place of plastic wrap on bowls, plates, and more, to keep food fresh in the fridge or on the go. 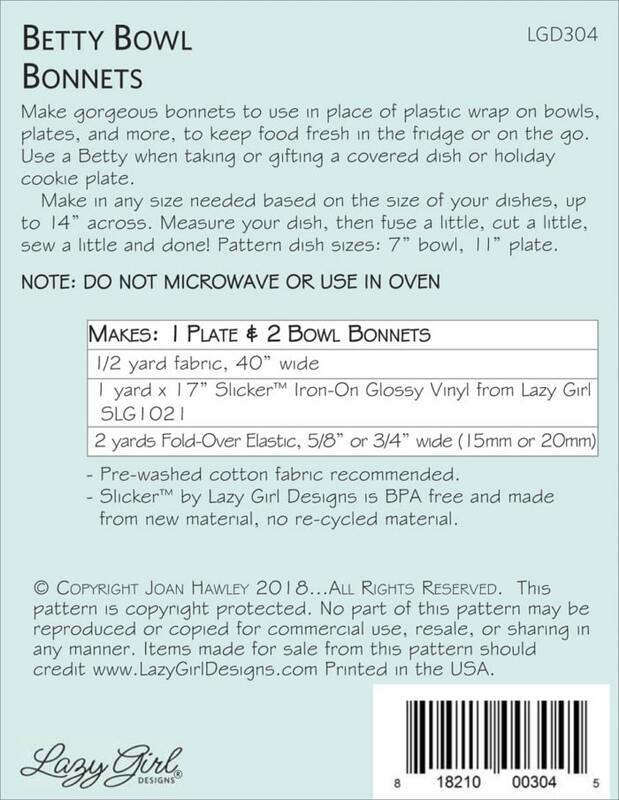 Use a Betty when taking or gifting a covered dish or holiday cookie plate. 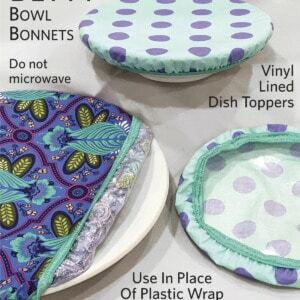 Make in any size needed based on the size of your dishes, up to 14” across. 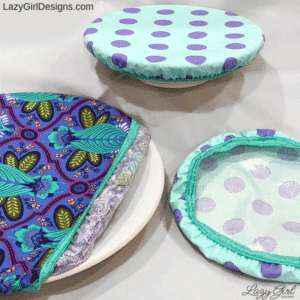 Measure your dish, then fuse a little, cut a little, sew a little and done! 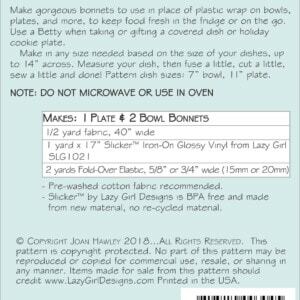 Pattern dish sizes: 7” bowl, 11” plate.